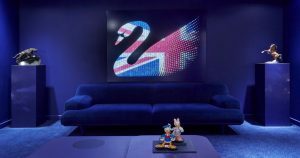 Swarovski has opened the doors to its newly-designed Oxford Street store with several new features created to heighten the customer experience and bring its crystal offering to life. The re-fit was completed within a four week programme and Archer Electricals installation was extremely well received by all at Swarovski……. “Well said – I couldn’t agree more! It’s very easy as a retailer to take for granted the below elements without truly appreciating the blood, sweat & tears that have been put in to achieve these IT solutions. My team & I are very grateful to everyone for their support in realising the Global forerunner vision – thank you all from our side too. A great example of what we can achieve with great collaboration across market, central & different functions to deliver a better consumer experience”.